Purchasing a home is a huge investment. Making sure that what you purchase is in the condition you expect is an important part of the home buying process. In my younger days, I always seemed to be broke. Every time I bought a used car, I always ended up getting a raw deal, overpaying for a car that inevitably ended up having problems that emerged after the purchase. This is partially what lead to my lifelong disdain for used car salesmen (I say that because I’ve never bought a car from a saleswoman. Just coincidence, I guess). It wasn’t until I was older that I understood the importance of having a used car inspected by a mechanic before buying. Now, a car is a pretty important purchase. You’re going to spend a lot of time driving it, and if it breaks down somewhere, you’re going to be pretty unhappy. So knowing what I know about having important purchases inspected before buying, I’m amazed how many times I hear about home buyers who buy a home without having a professional inspection. Why should you have your home inspected? Well, on the surface, that sounds like a silly question, at least to me as a REALTOR. It stands to reason that just about anyone who is making one of the biggest purchases of their life would recognize the importance of spending a few extra bucks to make sure the home they’re buying is safe and free of problems and costly repairs. But it happens all the time. There is a amazing host of hidden problems that a home can have, most of which can easily slip past the eye of an untrained buyer and REALTOR. Some of these include roof leaks, plumbing leaks, foundation problems, heating and cooling problems or inefficiencies, improperly installed wiring, fire hazards, termites, mold... the list goes on and on. Doesn't My Real Estate Agent Review The Home? 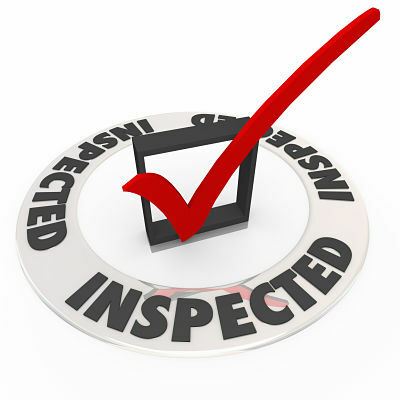 While most states require REALTORS to perform a “visual walkthrough” of the home, “visually” inspecting all “reasonably accessible areas”, there is an ocean of difference between a REALTOR inspection and one done by a professional home inspector. REALTORS are not trained in electricity, electronics, appliances, plumbing, foundation problems, roof problems, wood destroying pests, mold, etc. In fact, in some states, specific disclosures are required to be signed by both the buyer and the seller informing them that their REALTOR is not an expert in just about everything outside of the real estate transaction. The only person who is qualified to truly inspect a home and identify potentially costly red-flag problems is a professional home inspector. Recently a cousin of mine bought a home without having it inspected. Fairly soon after moving in, they discovered mold behind the existing refrigerator. The mold was pretty significant and they had to hire an expensive mold remediator to come in and clean it up. Once the mold inspector started his work, he identified mold throughout more than two-thirds of the house. My cousin has spent the past six months ripping the home apart and replacing most of the drywall throughout the entire house. He recently joked on Facebook that someone should help him come up with a name for the house, and suggestions such as “The Spore Shack”, “The Grow House” and “The Mushroom” were at the top of the list. He’s not even half-way through with repairs and has already spent over sixty thousand dollars in repairs. All of these could have been avoided by a $300 professional home inspection. Why Would You Not Get a Home Inspected? Why don’t people have their home inspected? Probably one of several reasons. Either the home buyer is uneducated in the importance of a home inspection, the buyer is excessively cheap, the buyer likes to risk hundreds of thousands of dollars for no good reason, or their REALTOR failed to advise them of the inspection’s importance. Now, I don’t want to put all the responsibility of this onto REALTORS, because I’m sure most experienced and reputable ones do advise to have an inspection. Most of the time it happens in a “for sale by owner” (FSBO) sale where a REALTOR isn’t involved and neither the buyer nor the seller really know what they’re doing. FSBO sales are often a big problem because both sides are trying to save money and they end up cutting costly corners, like my cousin, and not having the home inspected. When to Have a Home Inspection? Usually I recommend getting the home inspection done as soon as possible after the purchase offer is accepted. It’s not a good idea to delay the inspection because other processes start moving forward, money is being spent, and the ball is rolling. If you have the inspection done late in the game, you’ll either waste time and/or money, or you’ll go past certain “contingency” timeframes that make it difficult or impossible to back out of the deal. Also, and importantly, if you get the inspection done early enough, you may have ample opportunity to negotiate repairs with the seller, or cancel the deal without major financial losses. After too much time passes, these “inspection contingencies” lapse and the only way to back out of the deal may be to forfeit your holding deposit. As an experienced REALTOR, I never like to see my clients lose money or waste valuable time. I always advise to get the inspection done as quickly as possible and for the buyer to be present during the inspection. By being present at the inspection, many inspectors will walk you around the property after he/she has finished the inspection and point out items of interest. A good inspector will let you know if something is a small “simple fix” or if it represents something more significant. It’s a lot easier to understand such repairs when you can see them in person, as opposed to waiting to read the written report and look at the tiny photographs. If you have questions about home inspections, I encourage you to discuss them with your trusted REALTOR. Most experienced REALTORS will have connections with reliable home inspectors and can recommend one who can do the job well and in a timely fashion. After all, and particularly in Real Estate, time is money. Don’t waste time, and don’t cut small corners that end up creating costly mistakes (like my cousin). 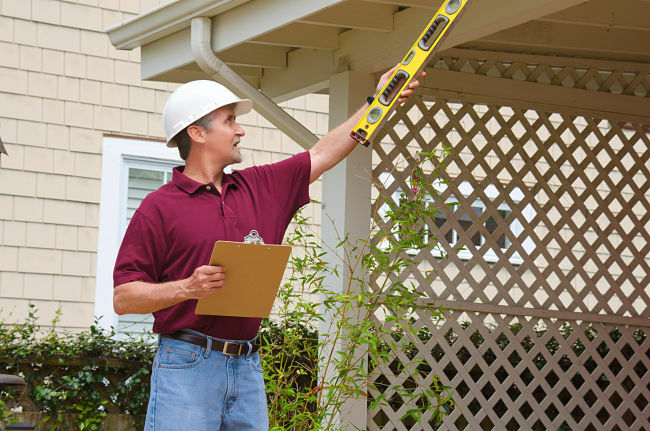 Make sure that you get a professional home inspection on every home you buy. If you have any questions about the home buying process, just ask...we are here to help.